Governor William Bradford is (I am told) a predecessor of mine on my mother’s side. 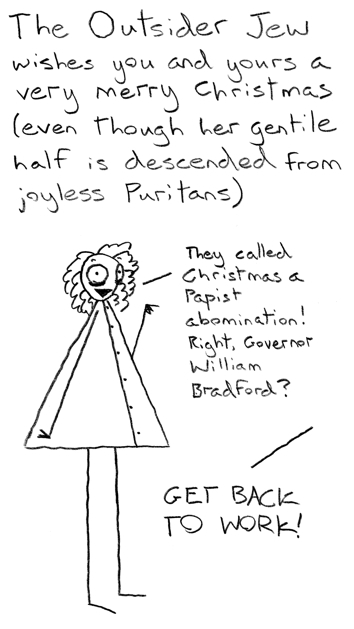 He’s also the guy who forbade public Christmas celebrations in Plymouth colony, so maybe my curmudgeonly attitude toward Christmas is genetic. I admit I have honored the season with several loaves of gingerbread for myself and loved ones, but I don’t think that’s necessarily Christmasy, winter just seems to call for gingerbread.